Paul & Lindsay got what they deserved. And it could happen to you next! 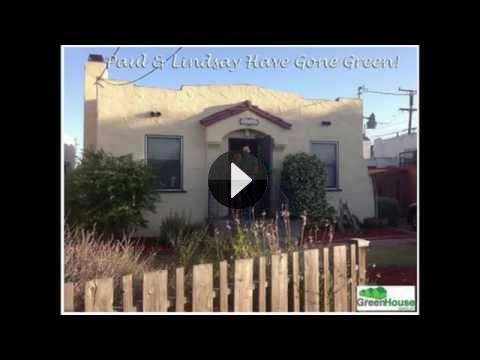 Paul & Lindsay's Celebration & Testimonial of The GreenHouse Group. 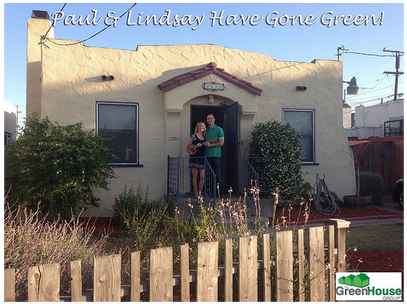 Paul & Lindsay's Story Of How They Got Allllll The Way "Home." Once upon a time there was a couple who, due to Paul being a Navy JAG, lived in Italy. Every day they wondered if they were going to get the news of orders to go back to the states – ideally – the best part of the states. One day, they got those orders. And it was "San Diego here we come!" Then, randomness ensued. While talking shop with some other folks who were stationed in Italy, our clients Bryan & Ellen, they had suggested that we connect to see if we could help. Because of that, we hooked up over Skype from Italy to San Diego, and came up with a great Real Estate & Mortgage Plan together. But Paul & Lindsay aren't your average peeps. Rather than seeing a few homes a day over a period of weeks, they strategized with their buyers agent Shelly, and they saw double digit homes in ONE DAY! 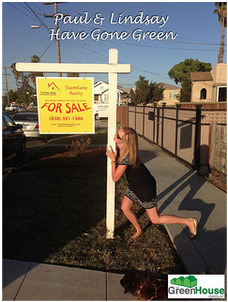 Luckily, they saw the perfect home in the perfect neighborhood and we put together a great offer. 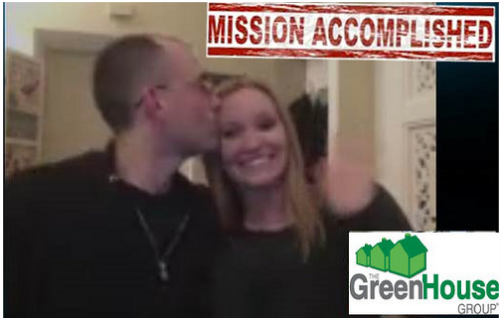 Then finally, 3 months and 4 days after sitting down with the couple over Skype, they got the keys on a remodeled charmer right in the heart of town in a great community for setting down roots of their own. Lindsay is ready for the celebration, get this no good sign outta my yard! Celebration Day! Keys in hand – 1st day of the rest of their lives!